Traveling to Athens, Greece was an incredible experience. Here are ten fun facts I learned about Acropolis and the Parthenon I'm pumped to share with you. 1. It's over 2,460 years old! How old is the Parthenon? The history books say it started being built in 447 BC. 2. Acropolis is the area the Parthenon sits on. What's the difference between Acropolis and the Parthenon? The Acropolis is the high hill in Athens that the Parthenon, an old temple, sits on. I originally thought they were different ancient structures, but I was incorrect. Acropolis is the hill and the Parthenon is the ancient structure. 3. 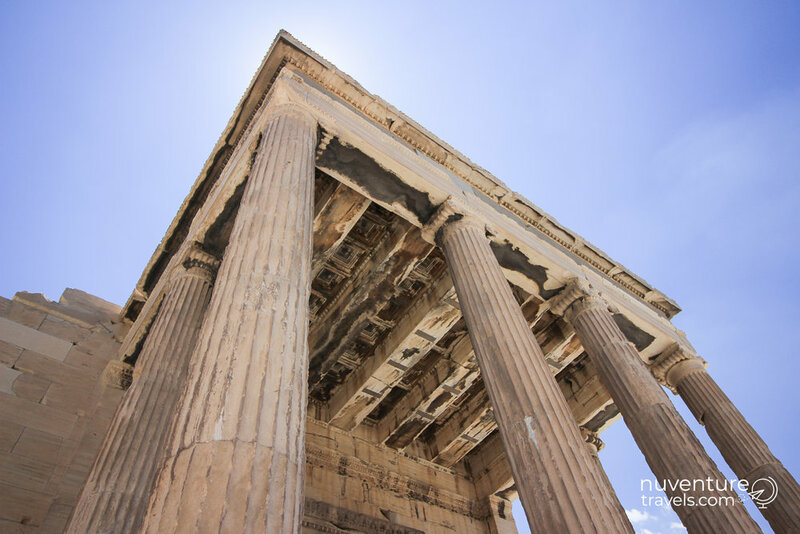 The Parthenon has been a temple, a church, and a mosque throughout it's lifetime. What is the Parthenon? The Parthenon's been fought over during the centuries by different religions. It started out as a temple dedicated to the Greek goddess Athena. Then, it was taken over by Christians and converted into a church, then it was taken over by the Turks and transitioned to a mosque with a minaret erected over it. 4. The Parthenon was blown up. In the late 1600's, the Venetians and Turks were fighting over Athens. Acropolis was used as a military point because of it's high position. There were explosives stored in the Parthenon that went off and blew up the interior of the Parthenon. 5. The rock on Acropolis is slippery! The biggest shocker to me as I walked around the structures on Acropolis, is the rocky ground is so slippery! It made me realize how much foot traffic over the centuries has smoothed down the ground making it slick to walk on. I recommend wearing shoes with good traction when you visit. Here's a packing list I recommend and some more tips before you go. 6. It cost the equivalent of 469 war ships to build the Parthenon! How much did it cost to build the Parthenon? The columns are made of marble and the base is made of limestone. Ancient-greece.org says, "The Parthenon construction cost the Athenian treasury 469 silver talents. While it is almost impossible to create a modern equivalent for this amount of money, it might be useful to look at some facts. 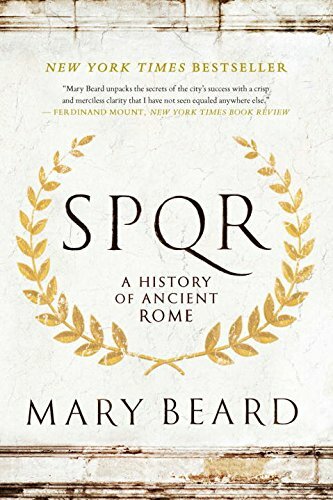 One talent was the cost to build one trireme, the most advanced warship of the era." 7. Hand carved statues line the Parthenon above the columns. What are the carvings on the Parthenon? The Parthenon was built as a temple for the Goddess Athena. 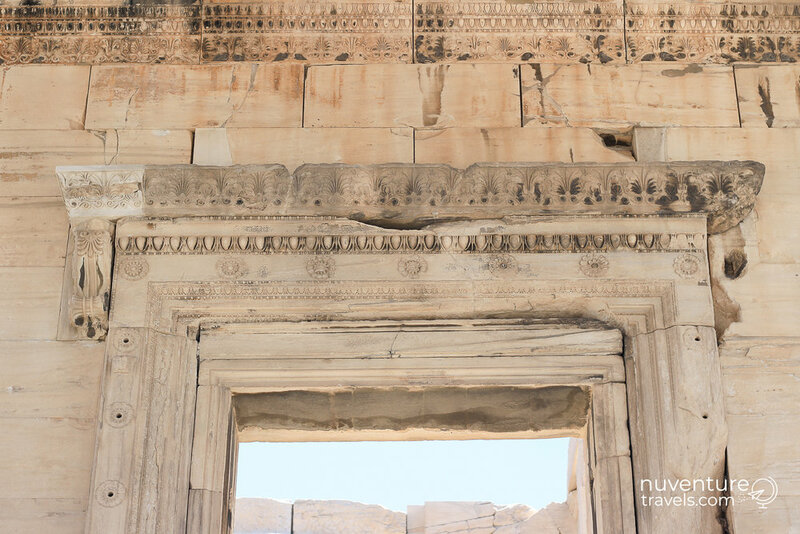 Each side of the Parthenon shares a story with hand carved statues. One side shows a battle between gods and giants. Another shows Greeks and centaurs. Other areas show Athena at birth, fighting Poseidon for Athens, and Greeks parading for Athena. 8. The carvings were carried away and shipwrecked! In the early 1800's a British nobleman, Lord Elgin, convinced the Turks to let him take some of the carvings from the Parthenon to England. One of the boats carrying the carvings sunk and for two years many of the carvings were stuck on the ocean floor. The carvings are also known as Elgin Marbles. 9. Carvings are still scattered abroad. Original carvings from the Parthenon are still scattered abroad in England, France, Denmark, and of course, Athens, Greece. You can see original carvings at the British Museum in London, the Louvre in Paris, and the National Museum of Denmark in Copenhagen. 10. Greece wants their marbles back. The carvings and statues are also known as the Elgin Marbles. Greece has been trying to get the Parthenon's marbles back for 150 years with no success yet. 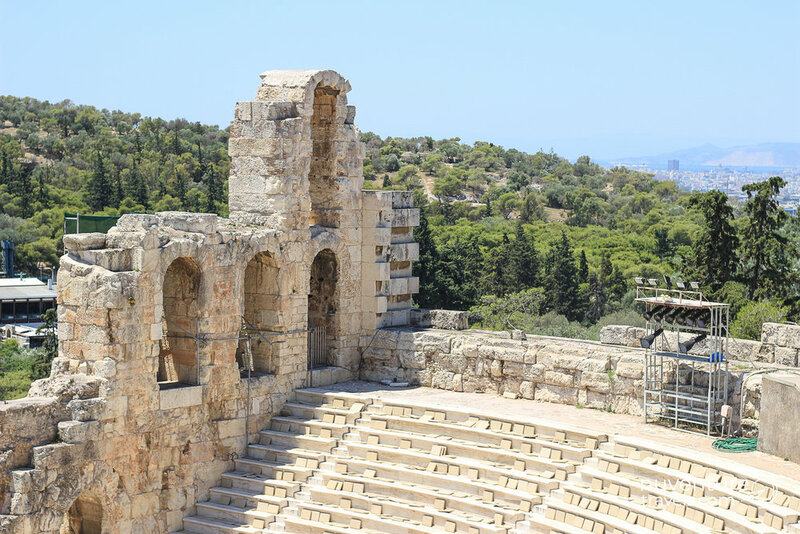 Make sure you're prepared for your Acropolis visit! 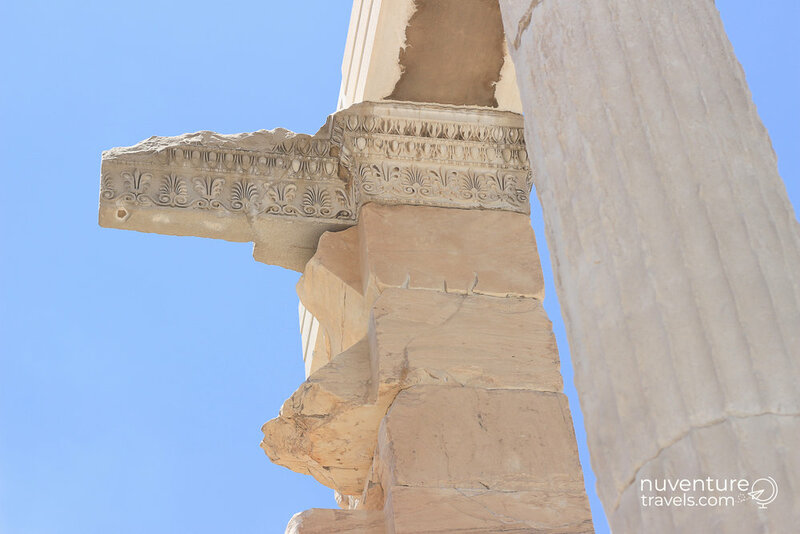 Download our packing list for what you'll need visiting Acropolis and the Parthenon below. Here's your packing list to prepare for visiting the Parthenon. Please share your travel adventures with us! Tag us @nuventuretravels on Instagram and Facebook. We're excited to see your fun travel #nuventures! 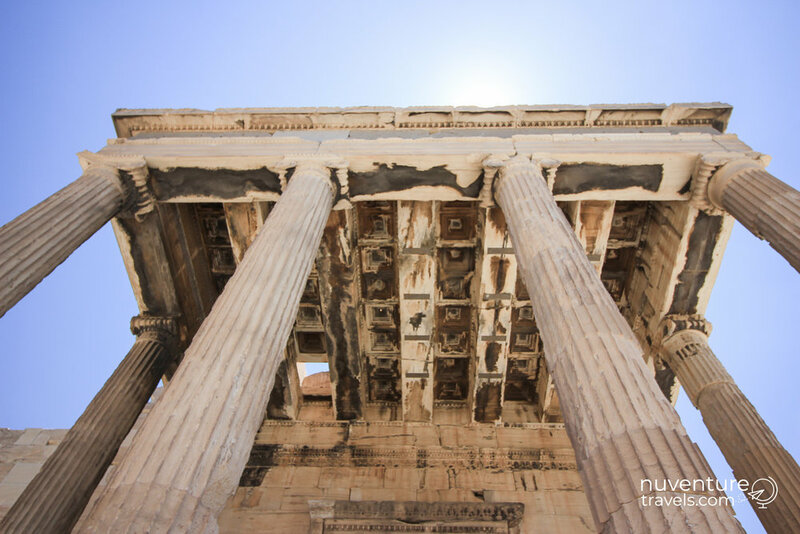 Want to see Acropolis and the Parthenon up close before visiting? Let's take a tour together through my photo journal! Before you visit in person, check out my packing list (I forgot a lot of must have things) and tips I suggest before you go. Then, we'll walk around the Parthenon. 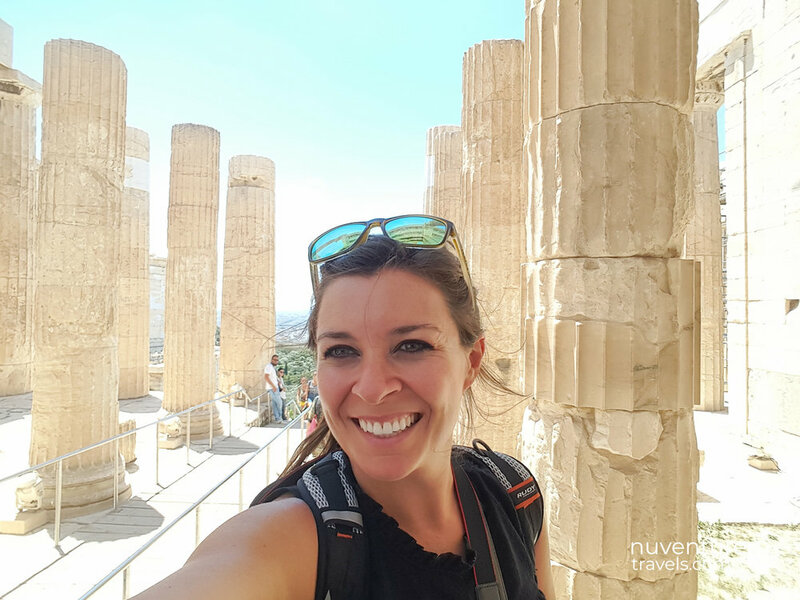 Let's Tour Acropolis & the Parthenon Together! Still Curious about Acropolis & the Parthenon? Check out these books to keep learning! 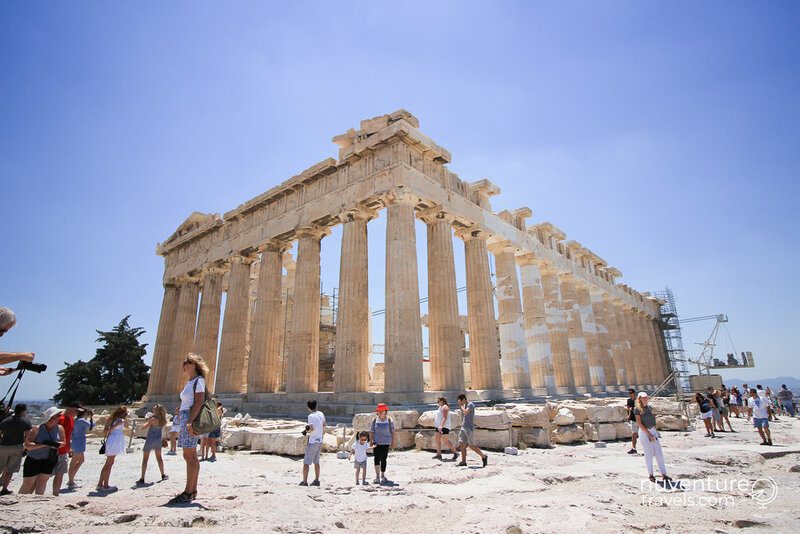 What should you know before visiting the Parthenon and Acropolis? Here's eight tips for your trip I wish I'd known before going. 1. Go to the museum first. 2. 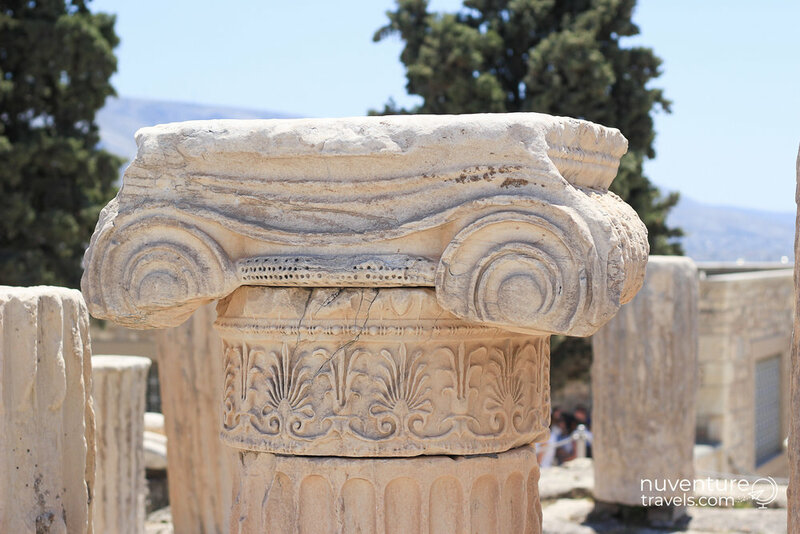 Consider splitting up your visit to the museum and Acropolis into two different days. There's so much to learn and see! We split our visit to the museum and going up on Acropolis into two days. We (I mean Adam) likes to read every placard and sign. After several hour of this, my brain's fried. So, we spent half a day in the museum and I spent another half a day on Acropolis (Adam wasn't interested in going- so I went solo). You're learning centuries worth of history here. This makes for a great but exhausting experience if you try to cram it all in. 3. Go to the Acropolis early. I went around lunch at the heat of the day. Mistake! This meant the lines were long to get in and it was so hot, and so bright up there. I made a lot of mistakes with no sunscreen, no water bottle, no hat. I ended my experience fried, dehydrated and exhausted. Learn from my mistakes, and make sure to pack these items. 4. Make sure you're in the right ticket line. To get a ticket to enter the Acropolis and head up to the top, you have to pay 20 Euro at the ticket booth. However, there's two lines to buy tickets. One line is for credit cards and the other one's for cash. There's little or no signage to know which line is which, so make sure you're in the right one. This leads to my next tip. 5. Eat before you go and pack lots of water. 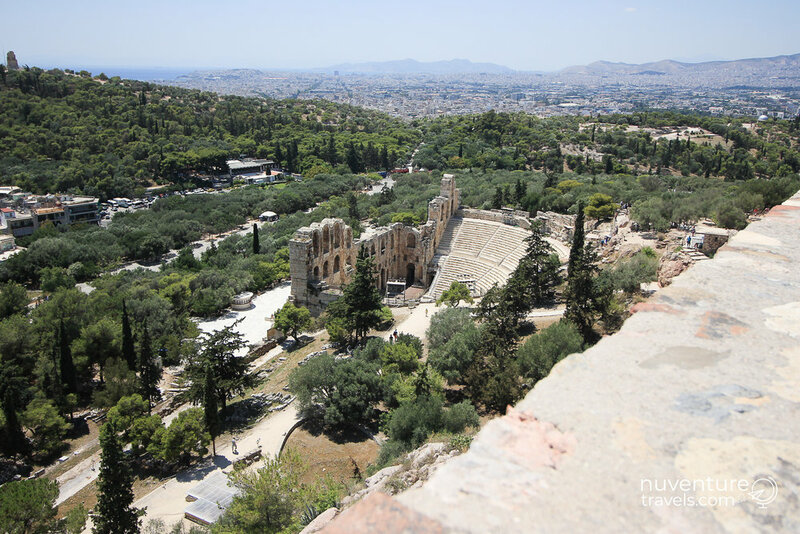 The ticket lines are long and you'll want to spend several hours exploring, so make sure you go on a full belly, pack a snack, and carry water with you to stay hydrated in the lines and up on Acropolis. There's lots of cheap gyro places with bottles of water near the entrance to the Acropolis to get stocked up. 6. Prepare for the intense sun and bright surroundings! This means pack your sunglasses, hat, I recommend an umbrella even, and sunscreen. The Acropolis and the area surrounding the Parthenon is very exposed to the intense sun and has little shade. To make the sun's rays even more intense, there's white rock reflecting light at every angle making it super bright up there. So, make sure you're ready for it. 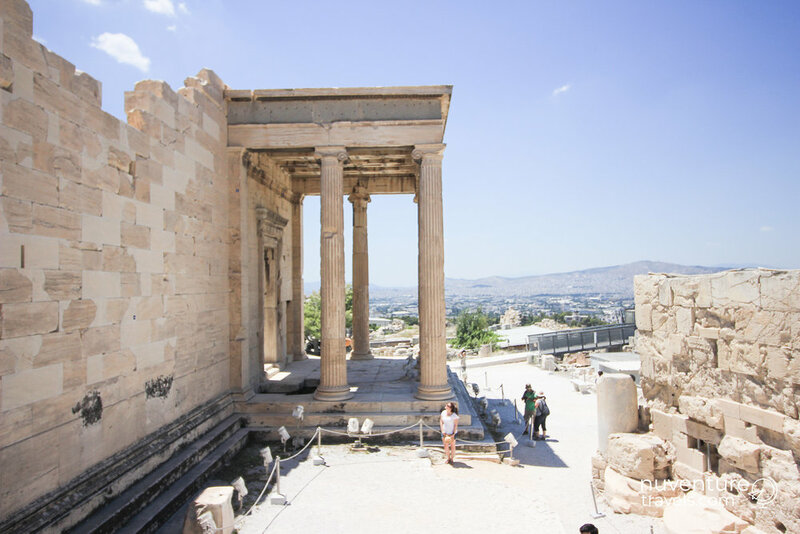 Check out my packing list for visiting the Acropolis and Parthenon here. 7. Wear shoes with good traction. The ground is uneven and it's slippery up there! The rock is so warn down from centuries of heavy traffic, I was slipping around up there with my shoes with no traction. I don't recommend flip flops. Make sure to wear shoes with good traction. Again, see my packing advice here. 8. Take your time and enjoy it up there! I share all of these hydration and gear tips to help you prepare for a comfortable experience so you can stay as long as you'd like learning, seeing and exploring. The Parthenon is over 2,400 years old and is still standing. What a special place in the world. Enjoy it and soak it in! One of the biggest lessons we've learned on our travels is to read a book about the places and topics you'll be traveling to. It's just like when people tell us to read the book before seeing the movie. You learn so many more details from a book than the movie can provide. And once you see the movie, you'll know all the background details and you appreciate the visuals. Same with reading a book before you visit somewhere. 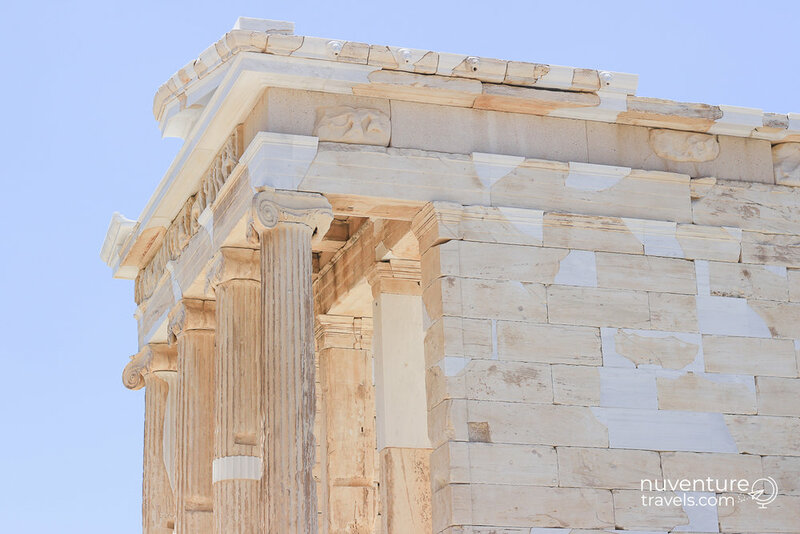 By reading the history of the Parthenon before arriving, you'll have a better understanding of this special place and appreciate your visit even more. You'll be able to visualize what happened there. 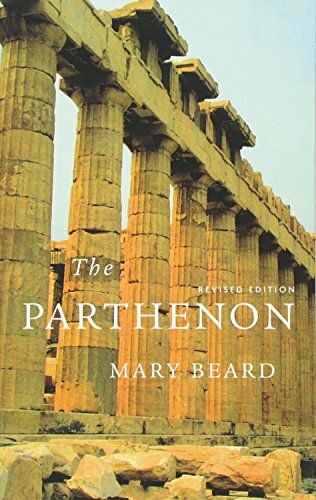 Gift Yourself a Great Visit to the Parthenon! Download our Packing List for everything you'll need for your visit. 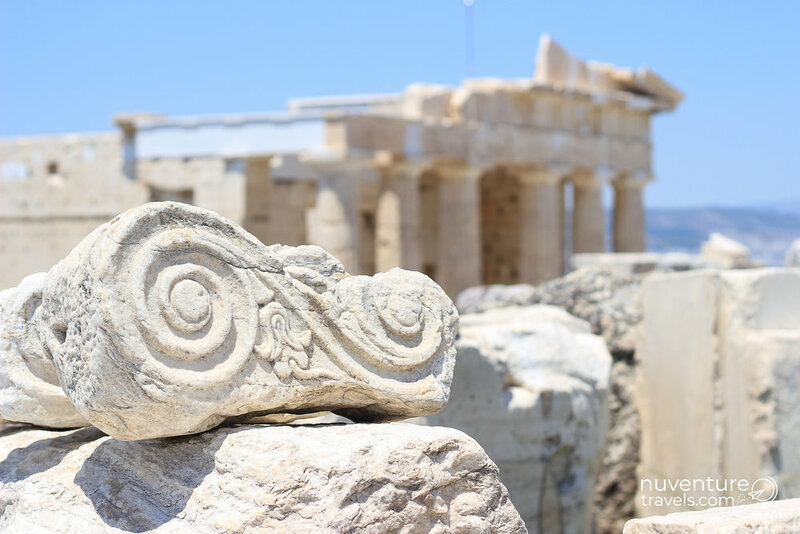 Here's your Packing List for what to pack when visiting the Acropolis and Parthenon. Share your travel adventures with us! Tag us @nuventuretravels on Instagram and Facebook. We're pumped to see your fun #nuventures!